Today, I need to tell you about zero waste. And it's place in my life. I touch on it here and there but I have done no dedicated posts to the topic and or specifically talked about what I've changed in my life since I wrote this post at the end of January 2016. And that's crazy to think that it hasn't come up because so much has changed. I mean, I hit all those baby steps I listed and more. I should mention that I have a couple of zero waste posts coming this month, each Wednesday. 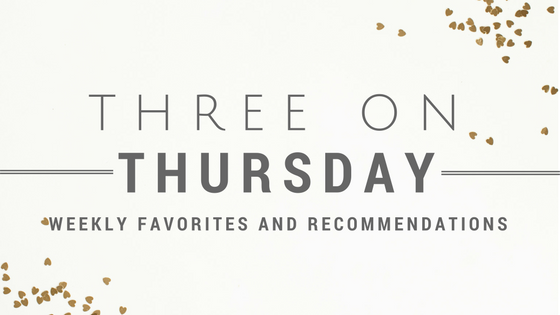 (I know, we're still not done with the capsule wardrobe series but there's just one post of that left on Monday.) I figured April was a good time to talk about this topic, because Earth Day is always April 22. Today's post is just a 'what the heck is zero waste' beginner's guide, and then in the coming weeks I'll more specifically share my zero waste essentials and tips for the kitchen, the bathroom, and then cleaning and other random topics. The kitchen and bathroom are where you generate most of your waste, so they needed their own posts. 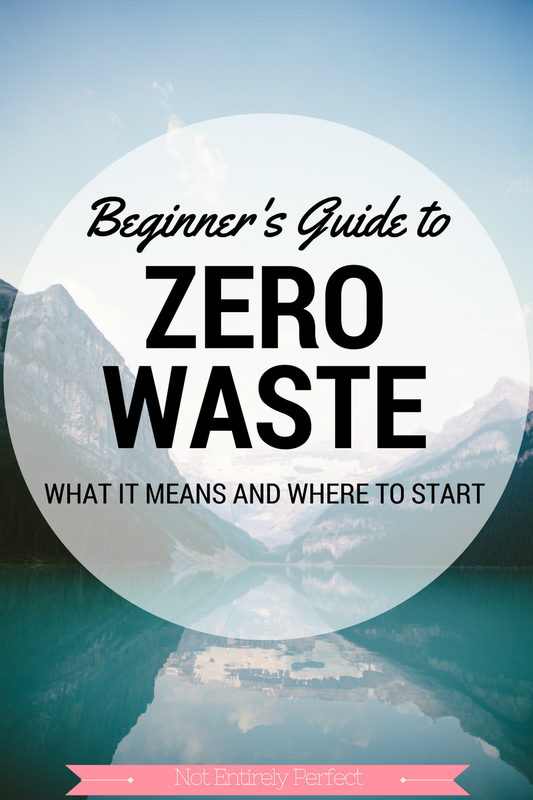 So let's start at the beginning - what is zero waste? According to Wikipedia it's "a philosophy that encourages the redesign of resource life cycles so that all products are reused. No trash is sent to landfills or incinerators. The process recommended is one similar to the way that resources are reused in nature." To simplify that, to most people zero waste means sending absolutely nothing to the landfill, but recycling and composting are okay. It's estimated that each American produces 4 pounds of trash per day. Trash, as in, going straight to piles in a landfill (which release gasses and chemicals) never to be used again. That's a lot of trash. You might be thinking that's you're under that, but remember there are people who are much higher than that 4 pound number and we're averaging out to be a big problem. It's not good for our environment in any way and the trash statistics are pretty startling. My state (Illinois) is a pretty terrible offender. And much of the trash doesn't even make it to the landfill, instead ending up in the oceans and sides of the road regularly killing all sorts of animals. So any steps a person can take are going to help. To start taking steps to reduce the trash and namely it's worst component, plastic, the zero waste hierarchy you need to remember is this: refuse, reduce, reuse, recycle, rot (compost.) The best way to reduce your waste is to start refusing things. Refuse plastic bags at the grocery store, refuse straws with your drink at the bar, refuse to shop and buy things just for fun, just refuse as much as possible to accept wasteful things into your life. The more these are refused, the less they will be produced in the first place. After that, it's recommended that you reduce as much as possible and of course, reuse and repurpose everything you can instead of deciding to trash it. There's a reason why recycling isn't higher on the list: it's not that great. First of all, it takes a lot of resources to recycle things. Picking up the recycling to come to a center, separating, breaking down the items, it's a lot of equipment being used. Beyond that, plastic can only be recycled so many times. Glass can be recycled forever without it losing it's integrity, but the life of plastic is once, maybe twice. So even if you recycle your plastic water bottle, it's only going to be turned into an item one more time and then it's over. After that, it's trash. It's just not sustainable to be using that much plastic. Zero waste is the name that's been coined but it's more like 'minimal waste' and 'as little as possible' because it's very hard to be completely zero waste in today's society. I mean, you're creating waste even if you use public transportation so it's just really hard to 'win.' But that isn't, and shouldn't be, the point. 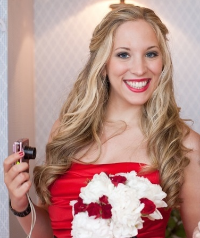 You may not be able to keep 4 years of trash in a mason jar like Lauren Singer, but that shouldn't deter you. Any single step you can take towards a less wasteful lifestyle are going to be helpful to the planet. Personally, I love baby steps when it comes to transitioning away from creating so much waste, so in the coming weeks I'm going to have essentials separated by room so you can see what I use to keep waste to a minimum in our house. In the meantime, I have a few resources to recommend, which are the places where I got started myself when learning about trash and zero waste. For books on the subject, I started with Zero Waste Home and Garbology. Two blogs I refer to all the time are Trash is for Tossers and Going Zero Waste. If you're more of a video person, I recommend Plastic Paradise and Bag It. How much waste do you think you currently produce? Are you zero waste or mindful of becoming so? Let me know in the comments.